Of Sauble Beach, passed peacefully at his residence surrounded by his family on Monday, October 28, 2013 at the age of 75 years. Loving husband and best friend to Darlene (nee McArthur) for 55 years. Cherished father of Brenda Knight, of Chesley; Bonnie Knight, of Sauble Beach; Beth and her husband Wayne Hill, of RR#2 Allenford; Barb and her husband Jim Kirkland, Becky Knight, and Betty Anne Knight and her partner Mark Askin, all of Sauble Beach. Amazing grandfather of Jayda and Tyler Jahnke, Katie McCutcheon, Josh Hill and his wife Melissa, Kathleen and Kyle Kirkland, Darby Kirkland, Madison Lamont, and Max Askin; and great-grandfather of Austin, Hailey, Brielle, and Bailey. Predeceased by his granddaughter Jaimie Trask (nee Hill); and his parents Arthur and Pauline (nee Walker) Knight. Lowell will be missed by his beloved dog and faithful companion Shelby-Lynn. Friends are invited to celebrate Lowell's life on Friday November 1, 2013 at 11 o'clock at Zion Amabel United Church Sauble Beach. Cremation has taken place. 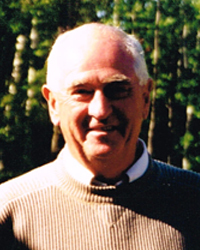 Arrangements entrusted to the Thomas C. Whitcroft Funeral Home & Chapel, 814 Bruce Rd.8, Sauble Beach (519) 422-0041. Donations to the GBHS Foundation (Oncology) would be greatly appreciated. Condolences may be expressed online at www.whitcroftfuneralhome.com.